I finally finished a book that I started several years ago. Can I perhaps tempt you to read it, too? (LOL… OK, I’ll stop). In “The Screwtape Letters,” Lewis provides much food for thought, and the main thought of the book is Temptations. C. S. Lewis, well know for his Narnia series, is almost as famous for his theologic essays and stories. In “The Screwtape Letters,” we read correspondences between the earthly tempter and demon “Wormwood” and his under-worldly advisor, “Screwtape.” The whole of the story focuses on Wormwood’s need for advice as to how to best lead his assigned human astray from “The Enemy,” God. 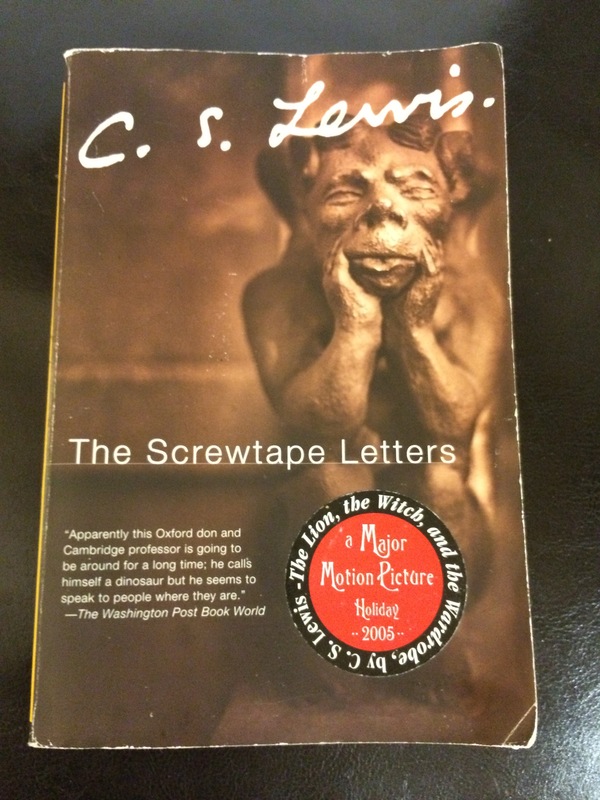 In one letter, Screwtape shares with Wormwood: “…as one of my own patients said on his arrival down here, ‘I now see that I spent most of my life in doing neither what I ought nor what I liked. '” This really struck me, and I stopped reading to think… reminded of how the modern screen conveniences, in particular, allow me to become easy pickings for my own personal demons. Good grief, that could be me looking back at all the hours I spend wasted in front of a TV, smartphone, or computer. Sobering, to say the least.